Home » Car Culture » Does That Parking Space Come with Fries? Does That Parking Space Come with Fries? Imagine living in a city where every restaurant is required by law to provide free chicken sandwiches. In addition to the free sandwiches, each restaurant offers a complete menu of items available for purchase. 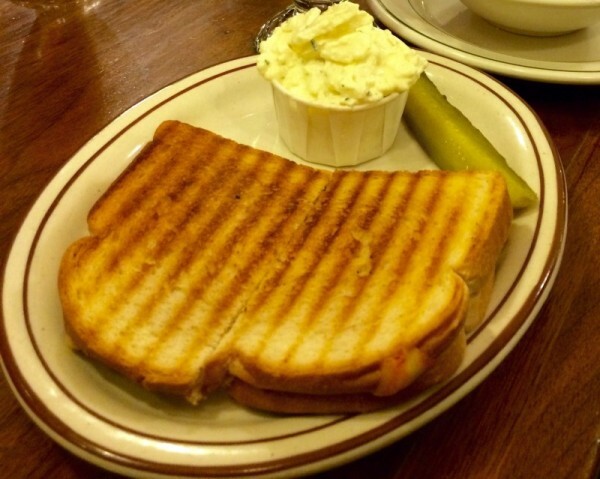 You can order roast beef or a reuben or an Albuquerque Turkey—but you have to pay for them. The chicken sandwiches, however, are always free. And each day, restaurants must provide more than twice as many chicken sandwiches as their customers will eat. A majority of the sandwiches go to waste. This would be absurd, right? What kind of communist plot would require a business to offer sandwiches for free? Well, nearly every town in America does it. But they don’t require free sandwiches, they require something much more valuable: free parking. But we need free parking…don’t we? Even if they’re located next to a bus stop, or a bike route, or a residential neighborhood where their customers live, businesses across America must purchase extra land to build parking lots. Often, they must demolish existing buildings to do so. And while zoning ordinances don’t specifically require the parking to be free, we’ve built so much of the darn stuff, we’ve devalued it. People have come to expect free parking wherever they go. As a result, it’s a rare business that dares to charge for parking. I’m sure you’re thinking: but we need all that parking! Everybody drives to the store! It’s true, lots of folks drive. Why? Perhaps it’s time to revisit that town with the free sandwiches. If chicken sandwiches are offered for free (while every other item on the menu costs money) what does that do to demand? I think it’s fair to say that a lot more folks would eat chicken sandwiches in our imaginary town, even if they preferred pastrami on rye. Because a free sandwich is a free sandwich! In much the same way, when we require abundant off-street parking, but we don’t require infrastructure that supports transit, cycling or walking, we impact demand. Our zoning code essentially dictates that developments prioritize cars over people. So what do we get? A city full of cars. And because we put the needs of cars before those of people, we require buildings to be set back far from the sidewalk. We require enormous parking lots located between the building and the street. We expect pedestrians and transit users to traverse asphalt wastelands and share space with speeding SUVs. We make driving convenient and seemingly “free.” We make every other alternative inconvenient and unpleasant, and then we charge for transit. We are handing out the chicken sandwiches and wondering why so few people choose soup or salad. To offset the cost of free chicken sandwiches, restaurants would need to increase the price of every other item on the menu. Drinks, soups, salads, burgers—every other item would cost more because the chicken sandwiches were free. It’s the same with parking: we all pay for it–whether we drive or not. We pay because the price of goods and services includes the cost of all that free parking. Gratuity included. Hidden fees may apply. As communities, we pay because abundant parking makes land less productive. More asphalt means fewer businesses, fewer jobs, and fewer tax dollars per acre. In addition, our tax dollars are spent to build and maintain roads so all those cars can travel from one “free” parking space to another. And the more parking you require, the further everyone must drive. Businesses and destinations are separated by great distances because of the space needed for parking. Spreading out these destinations means that our tax dollars must fund additional miles of roadway. We also must provide and maintain more water, sewer, and stormwater pipe; more pumping stations; more fire stations; more police officers…. You get the idea. It’s an inefficient system, and it needs to stop. Since 1963, the population of the City of Tulsa has increased by about 30%. In this time, our city’s geographic area has expanded by approximately 300%. Most of this growth has come in the form of low-density, inefficient, suburban sprawl. 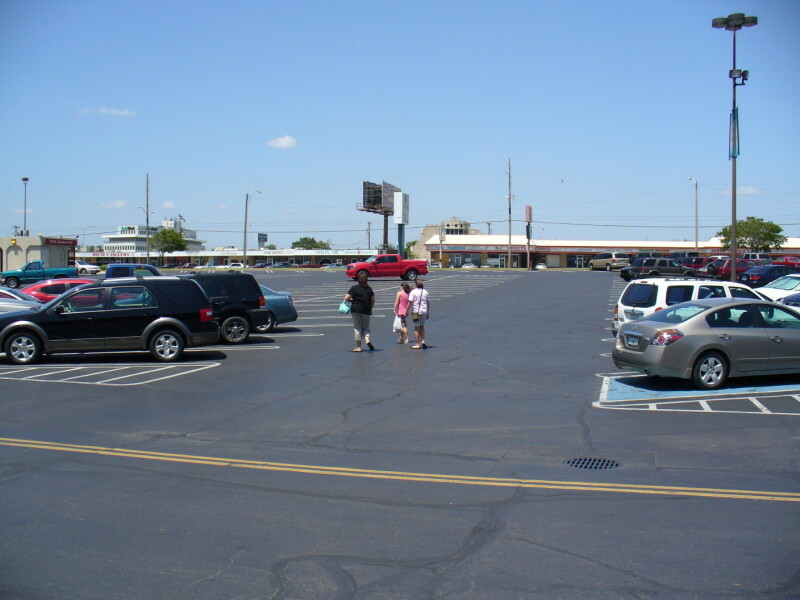 Thanks to parking minimums, approximately 2/3 of our commercial space is covered in asphalt. The remaining 1/3 of the commercial land cannot possibly generate all the taxes, jobs and commerce needed to support our city’s needs. We have built a lot of infrastructure for so few taxpayers. And it makes for an awfully expensive free sandwich. Even if a restaurant gives away chicken sandwiches, chicken sandwiches have cost. It costs money to provide the ingredients, store ingredients, labor costs to prepare, disposal costs, etc. Whether customers are paying for the chicken sandwich or not, the expenses involved are real. It is the same with parking. There is a high cost to free parking. Automotive habitats are being built at great expense. The average cost to build structured parking in the U.S. is $15,000 per space. And the laws that require a minimum number of parking spaces is excessive, upping the costs even further. All across the country parking lots sit mostly empty. The only time they fill-up is at end-of-year holiday shopping. Wasted infrastructure, wasted money. And there is the cost of maintenance and repair… sweeping, painting lines, broken pavement patching, and re-paving. The constant cost of maintenance for this parking space pavement drains public and private budgets. Parking is one of the biggest subsidies that cities, counties, and states provide. The national parking subsidy is well over a billion dollars per year. Yet people claim that the free parking is necessary, because without the free parking the stores would get no business. But whether they realize it or not, they are paying for the parking in higher cost of goods in the stores and in higher taxes… and more importantly, less people-friendly infrastructure and more inhuman environs. Here in Philippines we saw a sign ‘free drink for bicycles’ I am sure they meant for the person riding bike. The idea is great in a country not known to be progressive. I am simply hoping that they don’t mean alcoholic drinks. I’ve always thought that if I owned a bar or restaurant, I would offer discounts for people who walked or biked. Cars and parking cost so much, it seems like there should be a perk for cyclists and pedestrians!